Have y’all seen all of the Red Velvet recipes in bloggy-land lately?! They are everywhere …. 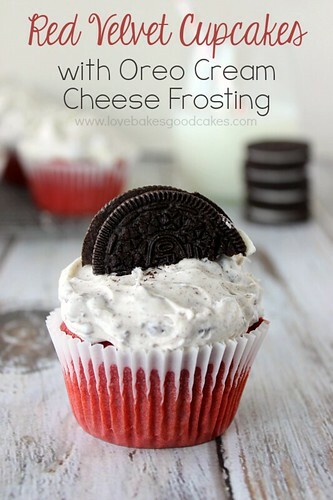 and I’m adding one more with my Red Velvet Cupcakes with OREO Cream Cheese Frosting. I recently made these for our church’s teen group. My kiddos said they were a hit with the group, and since there was none left, I’m gonna take that as a win. This is an easy from-scratch cake! If you can measure, stir and bake, then you can make these delicious little gems! Preheat the oven to 350°F. Line 2 regular-size muffin pans with cupcake papers. In a medium bowl, combine all of the dry cupcake ingredients. Stir with a whisk to combine. Set aside. 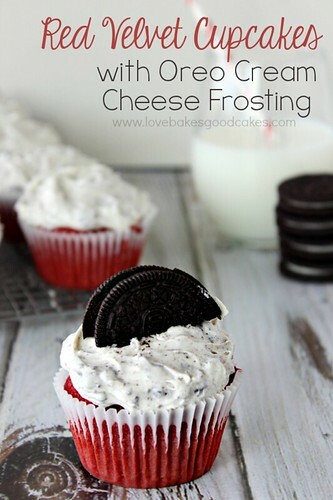 In a large mixing bowl, combine all of the wet cupcake ingredients with an electric mixer. Stop the mixer and add half of the dry ingredients into the wet. Mix to combine. Add the remaining dry ingredients to the wet ingredients and mix until smooth and thoroughly combined. Divide the batter evenly into the cupcake papers, filling each about two-thirds full. Bake for 20-22 minutes or until cupcakes test done when a toothpick inserted near the middle comes out clean. Allow cupcakes to cool in pan for about 5 minutes before removing to a wire rack to cool completely. To prepare the frosting: In a large mixing bowl, beat the cream cheese, butter and vanilla until smooth. Add the powdered sugar and beat until thoroughly combined. Add the Oreo’s and mix well. The frosting should be light and fluffy. Top the cupcakes with the frosting. 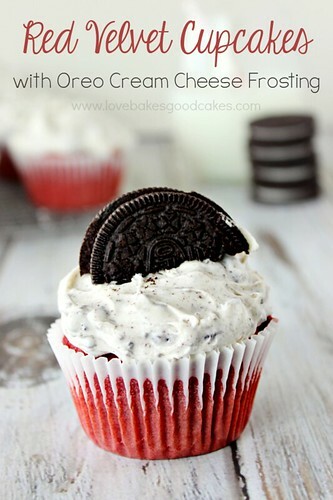 If desired, cut additional Oreo’s in half and garnish cupcakes. Thanks so much for joining us at Marvelous Mondays these cupcakes look fabulous, Jamie! Pinned to my Red Velvet board! Jamie these cupcakes look fantastic! These are so dang pretty! I love the Oreo on top it just makes it look even more decadent! 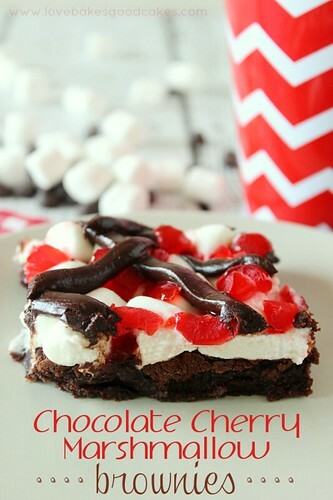 Yu, Yum, Yum…my children would go crazy over this! Thanks for sharing on the Thursday Blog Hop! Do you scrape off the cream from the Oreo cookies before crushing them? Omgosh these look so yummy!! 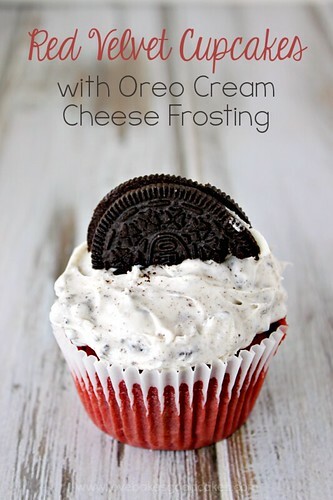 I love that you added Oreos to the cream cheese frosting. Thanks again for linking up to SST. Thank you for coming to Family Fun Friday! It is always great to see your creations each week! Blessings to you! Red velvet cupcakes are by far my favorite dessert- I've tried a handful of recipes but haven't found "the one" yet.. will have to give this a try! Thanks! 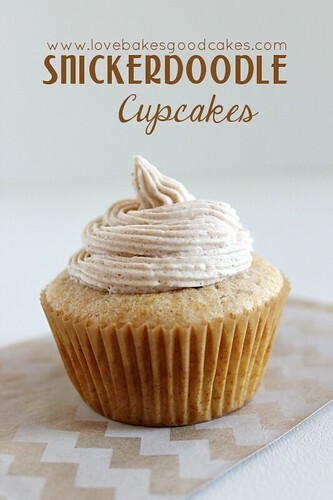 These cupcake look so awesome.Its my favorite dessert.Thank you so much for sharing this awesome recipe…. This looks very yummy!! Do you use salted or unsalted butter? ?